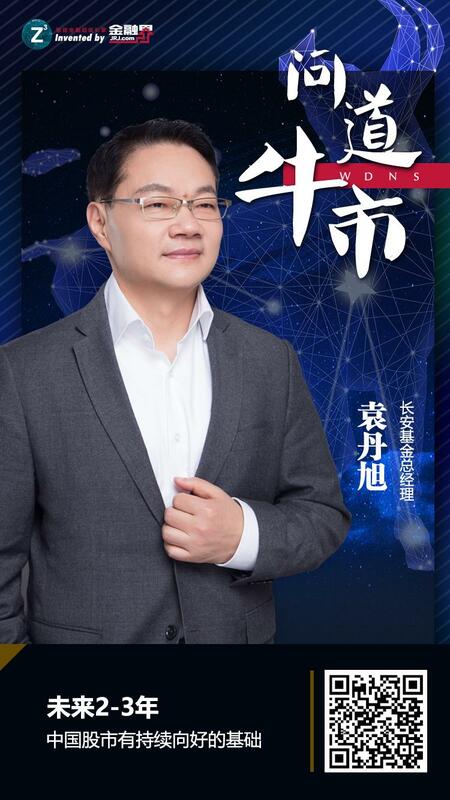 Guests in this issue:Yuan DanxuChangan FundGeneral Manager, Chairman of Changan Wealth Asset Management Co., Ltd.
Concussion is a manifestation of the bear market thinking and rising, and incremental funds will have a positive impact on A shares. The current situation of the stock market is similar to that of 2012, and the main lines of consumption and technological innovation are gradually emerging. The index has continued to record highs this year, igniting investor enthusiasm for trading. Many investors have begun to ask themselves: "Is this the bull market started?" Yuan Danxu, general manager of Changan Fund, said: The recent market turmoil is partly a reflection of the contradiction between the bear market thinking and the rapid rise of the market. In the next 2-3 years,Chinese stock marketThere is a continuous basis for improvement. financial:Recently, the stock market has ushered in the most volatility period in recent years. Some people say that it is a year of bear-to-bull market. Some people think that there will be a callback period. Recently,Market indexThe ups and downs, what do you think is the truth about the market turmoil in recent times, will the Chinese stock market really turn into a bull market? Yuan Danxu:On the one hand, the market has risen considerably faster this year, exceeding most people's expectations. The long-term decline in 2018 has caused many market participants to stay in the bear market thinking. As the market has risen, market views have diverged, and some participants have chosen Realizing the floating surplus, thus increasing market volatility; the recent market turmoil, to a certain extent, is a reflection of the contradiction between the bear market thinking and the rapid rise of the market. On the other hand, an important factor in the current round of the rise is that the market has changed its economic expectations and valuations have been repaired, but the improvement of the economic fundamentals has not yet been fully realized.MacroeconomicsVerification of data and micro-profits of the enterprise; expected changes have brought the market to the forefront of economic fundamentals. Under this circumstance, as the market rises, the shock of the market is inevitable. In the next 2-3 years, the Chinese stock market will continue to have a good foundation. First of all, we believe that the macro economy is in the process of finding the bottom, and the probability of the bottom of the cycle in the coming year is constantly increasing, which will bring support to the equity market. Secondly, the policy is strong, and the tax reduction and fee reduction exceeds any period in history. Its impact will be reflected in economic activities over time, and its impact on the capital market may be more obvious. In addition, we believe that current domestic household assets, domestic financial institutions and overseas investors are still in a low-matching position in the Chinese equity market. Therefore, the balance of medium and long-term asset allocation is biased.Stock market, the resulting market incremental funds are expected toA-share marketBring a positive impact. financial:The current situation in the stock market is similar to which year. What are the obvious characteristics of the market in this stage? What risks should be tactically guarded against? Yuan Danxu:The current stock market situation is similar to 2012. In 2010, growth stocks and consumer stocks rose. In 2011, the market experienced a sharp decline. After that, the leading growth stocks in 2012 gradually went out of the market, and consumer stocks performed well. Correspondingly, 2017Blue chipRising, most stocks fell in 2018 and ushered in a rebound in 2019. At this stage, that is, in the early stage of the rebound, the main characteristics of the market are hot spots, industry and theme performance; we believe that the main line of consumption and technological innovation will gradually emerge in the future. Whether the macroeconomic bottoming has been completed has not yet been determined, and the basic change is still not solid. The profit of the company may still be in a downward trend in the first half of the year. Under this circumstance, the risk of vigilance is that after the rapid expansion of valuation, corporate profits Whether the improvement can keep up; follow-up needs special attentionListed companyPerformance. financial:As China's market economy becomes more developed, the role of the market has become more prominent. In your government work report of the two sessions this year, what policies or new rules are the highlights, and what role does it play in stimulating the vitality of market players? Yuan Danxu:In the government work report at the two sessions this year, tax cuts and fee reductions were a highlight, and the strength exceeded expectations. according toBrokerIt is estimated that the VAT rate will be reduced by about 550 billion yuan, the micro-enterprise tax reduction will be about 200 billion yuan, the pension insurance unit will be reduced to 16%, the reduction will be about 440 billion yuan, and other tax reductions will be about 810 billion. In addition, the tax adjustment and special deduction of the residents will also bring about 450 billion tax reductions. The overall tax reduction and fee reduction of enterprises and residents is expected to reach 2.5 trillion, which will help increaseindustryCorporate profits, enhance the confidence of SMEs, support enterprises to accelerate technological transformation and equipment renewal; release water and fish, stimulate market vitality, will bring greater traction to GDP growth. Secondly, this year's two sessions mentioned that it is necessary to deepen the reform of the financial system and continue to increase the proportion of direct financing, especially equity financing. The science and technology board was written into the government work report. We will deepen the reform of the fiscal and taxation financial system, reform and improve the basic system of the capital market, promote the healthy and stable development of multi-level capital markets, and increase the proportion of direct financing, especially equity financing. Establish a science and technology board and pilot registration system to encourage the issuance of double-generationFinancial bondSupport the development of venture capital. In February 2019, the Politburo meeting put economics and finance on the same important position: "financial work, economic activity; financial stability, economic stability. Economic prosperity, financial prosperity; strong economy, strong financial. The economy is the body, finance is "Blood, the two are symbiotic and co-prosperous", "Finance is an important core competitiveness of the country, financial security is an important part of national security, and the financial system is an important basic system in economic and social development." The significance of this year's capital market reform has risen to an unprecedented height and is the most certain policy tilt area this year. In addition, supporting the private economy and enhancing the financial services economy, especially the ability of small and micro enterprises, is also a policy highlight. The government work report proposes to guide financial institutions to expand credit supply, reduce loan costs, and increase the targeted reduction of small and medium-sized banks. The funds released are used for private and small and micro enterprise loans to ensure the small and micro enterprises of large state-owned commercial banks this year. Loans should increase by more than 30%, thus alleviating the problem of financing difficult for private and small and micro enterprises. Incentives to strengthen inclusive financial services and reduce the overall financing costs of small and medium-sized enterprises. We will increase the intensity of “breaking, standing, and lowering”, simplifying the approval of excellent services, facilitating investment and industrial development; protecting property rights and increasing the environment for optimizing the development of the private economy. The above various policies and measures will have a positive impact on the role of the market and stimulate the vitality of the market players, which will be conducive to the long-term sustainable development of the economy and will help to enhance investor confidence. financial:What investment opportunities do you think will be brought about by the launch of Kechuang? Will your company participate, and what are the investment priorities? How to grasp the reasonable valuation space of the stocks of Science and Technology? Suggestions for individual investors to invest in the board? Yuan Danxu:Kechuang Board undertakes the most important role of capital market service in the process of industrial transformation and innovation and upgrading, and is also an important part of building a healthier and better capital market. The landing of the science and technology board is the policy support for the innovation industry and the richness of the investable targets. Industry, high-tech industry, intelligent manufacturing industry,new energy,biologicalmedicineIndustry and technical services are the key services and listing targets of the company, which will provide investors with a new investment opportunity that can be grasped. We will actively participate in the investment of Science and Technology. On the one hand, do a good job in valuation and pricing research, and actively participate inNew share subscriptionOn the other hand, we will actively research the investment opportunities of the fundamentals of the science and technology enterprises and the relevant stocks of the secondary market, and explore the outstanding science and technology enterprises with great potential as long-term investment targets, bringing long-term fund holders Lasting benefits. Kechuang board provides multiple sets of listing standards for different enterprises, reflecting greater inclusiveness. There is a certain limit to the valuation of emerging companies by using traditional valuation methods. The company will reshape the valuation system of technology stocks. The marketization of the pricing mechanism of the science and technology board is much different from the existing ones. Therefore, the price difference between the primary and secondary markets is narrowed, and the issue price of the enterprise will be closer to the reasonable valuation of the secondary market. In this context, the importance of industry research and thinking about new valuation systems and methods is even more prominent. Kechuang board implements a registration system and a more stringent delisting system; and compared with traditional mature enterprises, science and technology enterprises are in the early stage of life cycle, development is uncertain, less than enterprises, and valuation pricing is more difficult. It requires more in-depth industry and individual stock research, which is undoubtedly more difficult for individual investors. Therefore, we believe that interested individual investors can participate in the investment of Science and Technology Board through public funds. Mr. Yuan Danxu, Master of Financial Engineering. Formerly Senior Manager of Wells Fargo Bank, Deputy General Manager of Retail Department of China Merchants Bank, Director of Shenzhen Development Bank (Ping An Bank), Head Office of Industrial and Commercial Bankprivate bankDeputy General Manager of the Department and Deputy General Manager of the Private Banking Department of the Bank of Communications. 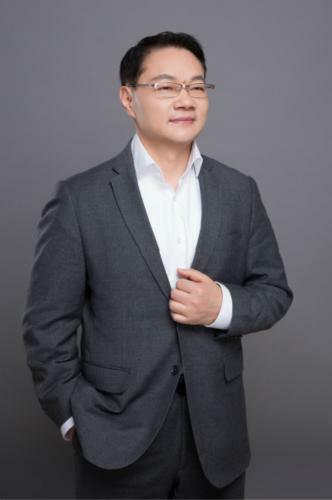 He is currently the General Manager of Changan Fund Management Co., Ltd. and the Chairman of Changan Wealth Asset Management Co., Ltd.
[The first phase] The general manager of Shenwan Lingxin Fund came to Xiaoxian: The stock market will remain active. It is recommended to pay attention to economic data and a quarterly report. [ninth issue]Nie Tingjin, general manager of Zheshang Fund: The future of the market is diverging. Artificial intelligence helps investment. [11th issue]Chen Jialin, General Manager of Shicheng Investment: "We are already in a bull market!" The original column of the fund channel fund of the financial sector website is the original content of the site, and enjoys the copyright protection by law. Without the permission of this website, no one may reprint or use it for other purposes. The financial website will retain the legal website. The right to pursue responsibility. 04-15comment0Kinetic energy is still inevitable, and it is inevitable to choose a high-quality new fund. 04-12comment0High shock is too anxious? Graham’s 50 rumors are given to you.